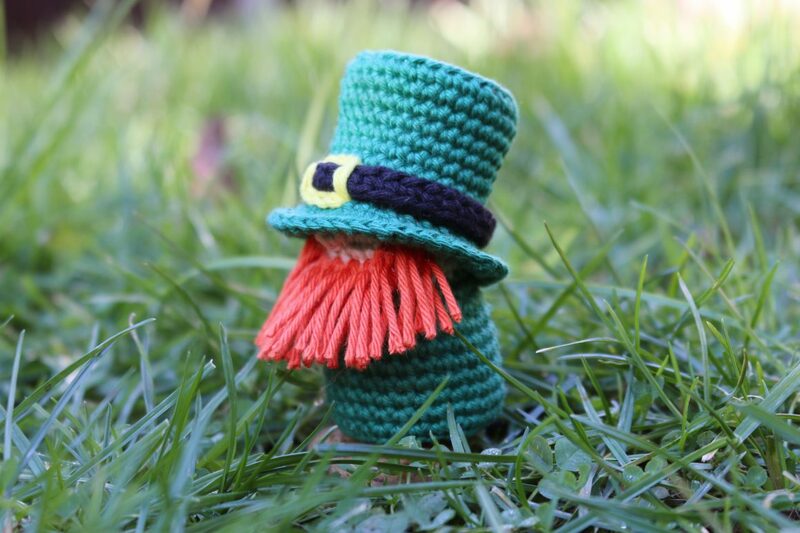 Lucky, the Leprechaun is a fun crochet project for St. Patrick’s Day! Although leprechauns are known to be tricksters, loners, and not the most trusting, Lucky, the Leprechaun probably won’t mind your company. He might even share a little of his wealth with you, or mend your shoes, if you are kind to him. Apparently he likes to drink dandelion tea. Maybe you can brighten his mood by making him a cuppa? You can read more about leprechauns here. Lucky, the Leprechaun is 3″ short. 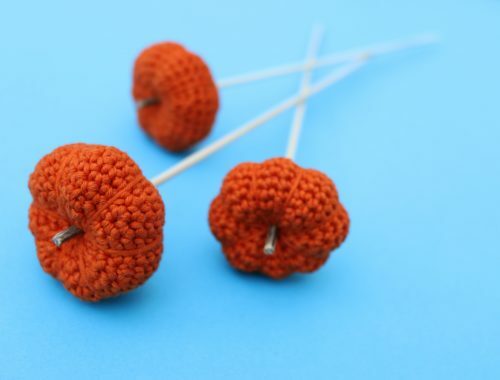 Tip: Use Aran/worsted weight yarn and a 3.5mm/size E hook to make a slightly larger version of Lucky, like I did in my video tutorial. 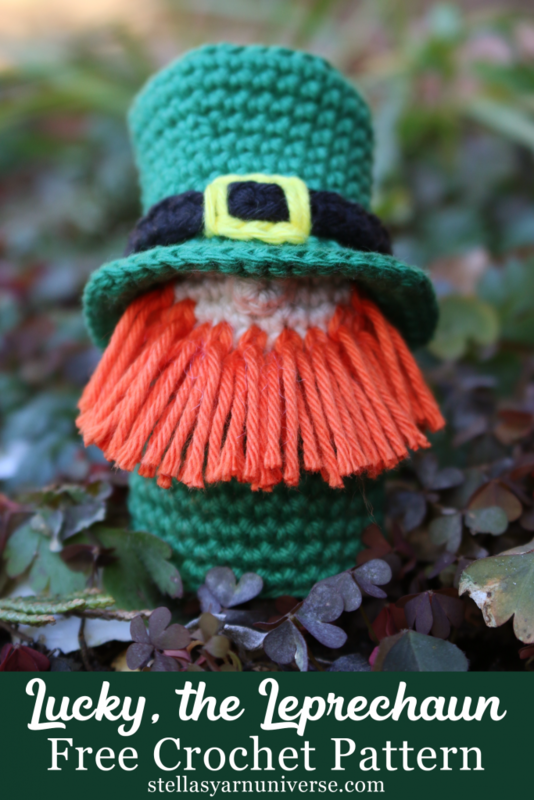 If you don’t have the materials and tools you need at home and don’t wanna shop around for them, you can find my leprechaun crochet kit here. 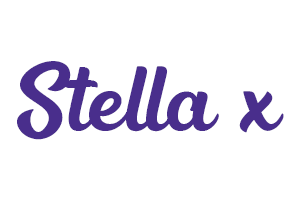 It includes all the materials and tools you need (the hook is optional), and the printed pattern with many step-by-step pics in your preferred terminology. Das deutsche Häkelmuster für Lucky findest du hier. Below you can find the pattern British/Australian terminology. For the U.S. version, please scroll further down. Fill head and body with toy stuffing. Cut a 20cm/8” piece of yarn in C2 and thread your yarn needle with it. Stitch around the nose from all sides to shape it into a rounded gnome-like nose. Sew in both ends. Cut 24 x 10cm/4” long pieces of yarn in C3. Attach the beard in rows, starting from the upper part of the body up to the face. The beard frames the face in a half circle. 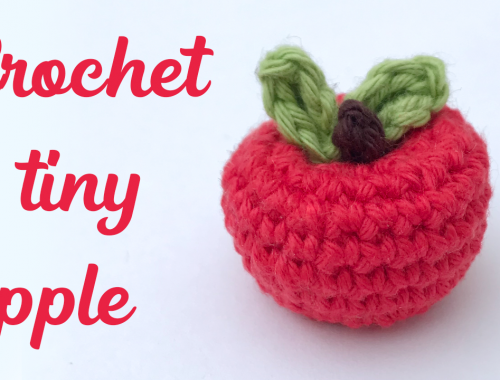 If you’re unsure how to attach hair to your Amigurumi, you can find my video tutorial here. Now you can trim the beard to any length you like. Sl st 1, break yarn, pull through, sew in ends. Pull the hat band onto the hat and place it into the desired position. 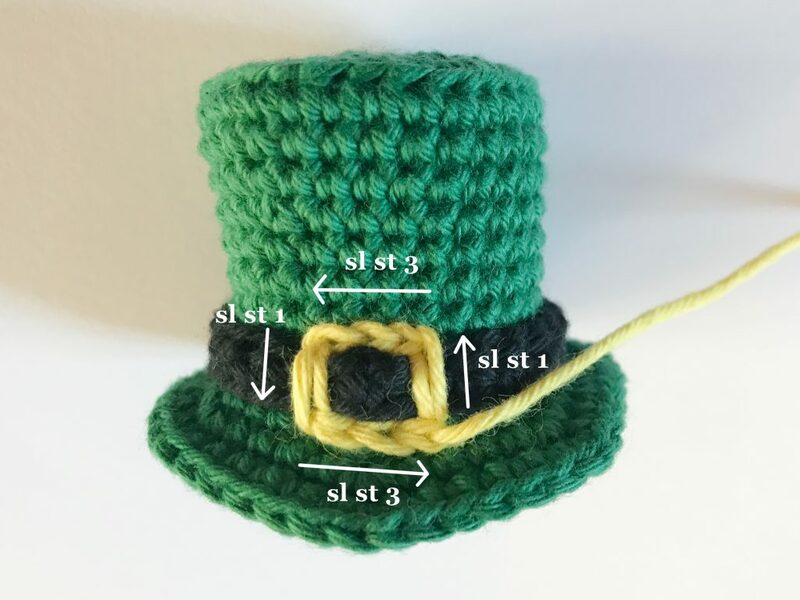 Pull a loop of C5 out of the inside of the hat below the hat band, on the right side of the buckle you’re about to crochet [see picture below]. Pull enough yarn out to cover the hat band with one sl st. Insert your hook above the hat band, so the loop covers it vertically. Pull out another loop from the inside of the hat and make a sl st. Now make 3 horizontal sl sts above the hat band towards the left. 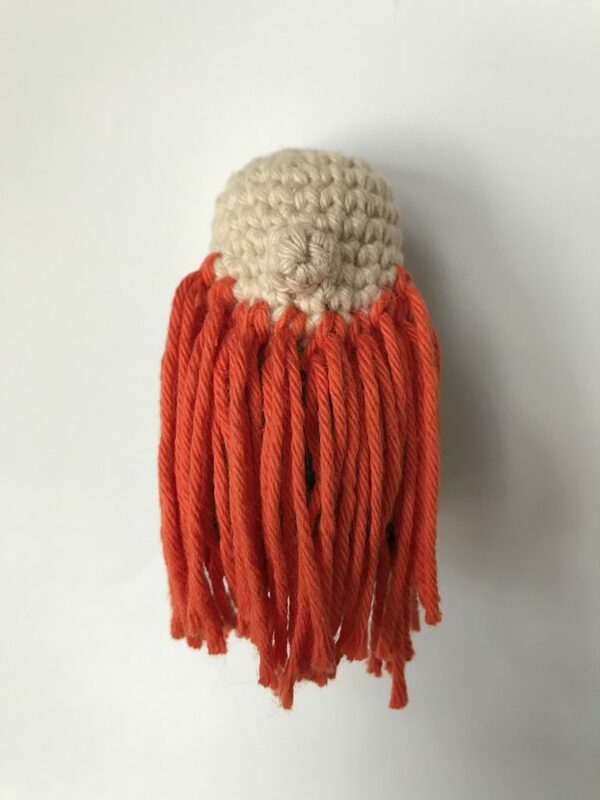 Pull enough yarn out to cover the hat band with your next sl st. Insert your hook below the hat band to make a vertical sl st over it. Sl st 3 horizontally below the hat band towards where you started from. Break yarn, stitch end through gap from which you started. Tie ends, hide them inside the hat. 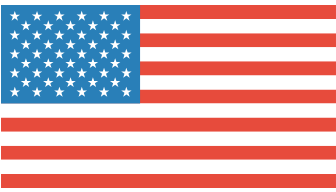 Below you can find the pattern in U.S. terms. 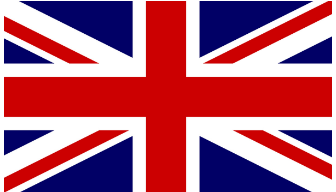 For the British/Australian version, please scroll up. Break yarn, stitch end through gap from which you started. Tie ends tog, hide them inside the hat. 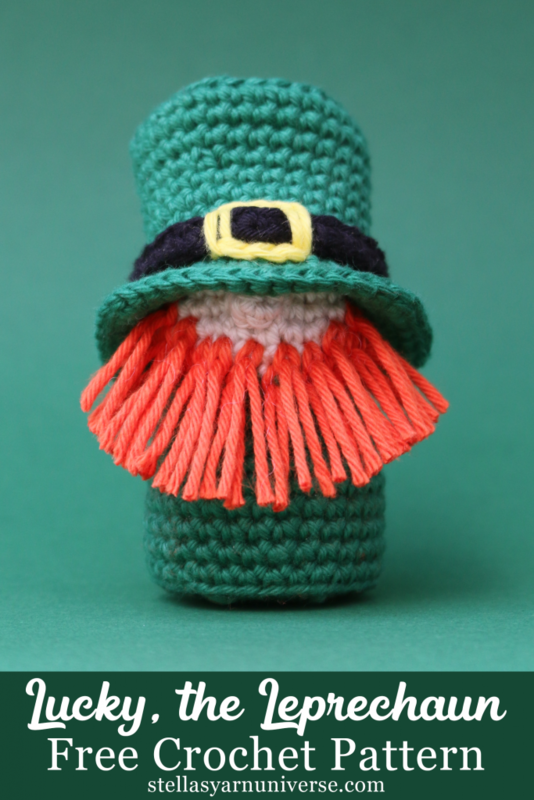 I hope you enjoyed making Lucky, the Leprechaun. May his luck rub off on you! 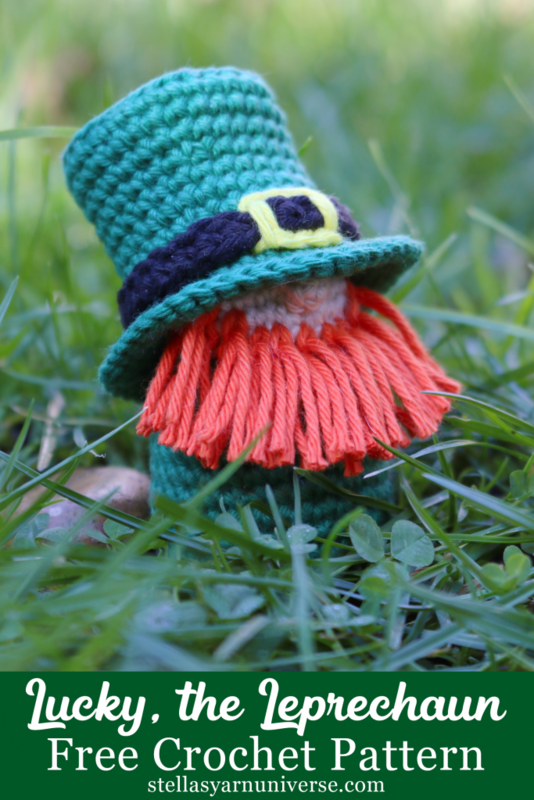 If you’d like all the materials and printed pattern delivered straight to your door, take a look at me leprechaun crochet kit. Would you prefer a printable version for Lucky the leprechaun? You can download the printable pdf pattern (accompanied by many pictures of the process) for a small fee here. You can pin this pattern here, for later. 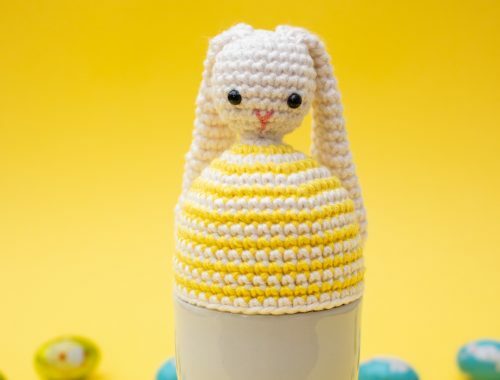 Thank you so much for using my pattern!